• That peace could be obtained by creating a Palestinian state on land from which Israel would withdraw. • That the PLO ultimately desired peace, and so could be a partner. 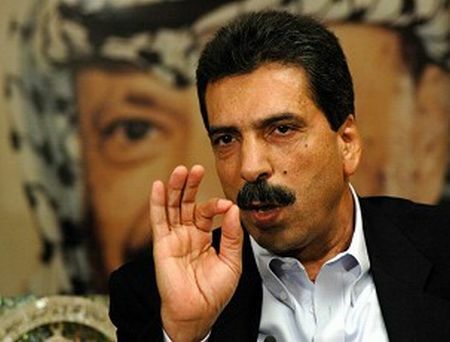 • That the PLO could transform itself from a terrorist group into a stable governing authority. • That Palestinian attitudes would moderate as Israel made concessions, and a ‘virtuous cycle’ could be established. • That there could be ‘solutions’ to the questions of Jerusalem and refugees that both sides could accept. • That both sides would educate their people for peace. Every one of these was false in 1993, and as time passed it became evident that they were not going to become true — indeed, Arab attitudes hardened. The transfer of power from the arch-terrorist Yasser Arafat to the bureaucrat Mahmoud Abbas had no effect on them. In addition, the rise of Hamas created brand-new, insuperable difficulties for the Oslo approach. But despite this, these premises remained at the foundation of Western ‘peace’ proposals, from the Road Map, through Olmert’s too-generous proposals, to the Obama-Kerry plan. Only details and methods of implementation changed. If we didn’t know in 1993 that the argument was not about ‘Palestine’ but rather about Israel, we know it today, from Abbas’ refusal to admit that Israel is the nation of the Jewish people (he claims there is no such people, only a religion), and from the content of their media, educational system, art, literature, etc., all of which send the message that there is no ‘Israel’ between the river and the sea, only ‘occupied Palestine’. If we didn’t know that the PLO wasn’t interested in living peacefully alongside a Jewish state, we know it today from the official adulation and financial support for terrorist murderers whose release from prison was extorted by US pressure. After 21 years of the ‘Palestinian Authority’ (PA) receiving billions in support from the gullible West, Palestinians have no democracy, no independent judiciary, no investment in the public sphere, no private economy — only ‘security’ forces and Swiss bank accounts. Can you imagine what a sovereign ‘Palestine’ would be like? Israel has totally withdrawn from the Gaza Strip and placed more than 90% of the Arab population of Judea and Samaria under control of the PA. It tried a settlement freeze, removed checkpoints, released prisoners — murderers — and made various other concessions in the name of peace. But there have been no matching concessions from the Arabs. Incitement against Jews and Israelis in Palestinian official media has, if anything, increased. Our overtures of compromise have been taken as signs of weakness. Negotiations of one sort or another have been going on since Oslo, punctuated by wars and generally accompanied by terrorism. The objectives of the two sides, however, have always been different, as I wrote yesterday: Israel wants peace and security, while the Arabs want to weaken Israel enough so that it can be overwhelmed, and replaced by an Arab state. There’s no common ground here. We’ve heard over and over that “the basic outlines of a settlement are clear, it’s only a question of details.” This is the opposite of the truth. An agreement based on false principles cannot be achieved, no matter how cleverly the details are worked out. The approach has been tried, and it has failed. Maybe 21 years ago, Kerry could have been excused for believing that it could work. Not today. Unfortunately, forcing it on the unwilling parties will have an asymmetric result: the Arabs will be forced to say things that they don’t believe, while Israel will be exposed to unprecedented levels of terrorism. Bill Clinton finally understood this in 2001. But either nobody told Obama and Kerry, or their goal is closer to that of the Arabs than to the Israelis. Israel can rip the veil off the Oslo fantasy by giving Kerry a firm ‘no’, and ending relations with the PA. The US and the Europeans will then punish Israel by reducing aid, boycotting its products, etc. Such actions would clearly damage the economy. But as Caroline Glick argues today, a few rockets hitting Israel’s high-tech centers and international airport would wreck the economy much more effectively than anything the US and Europe could do. Palestinian claims, journalistic summaries, Kofi Annan’s comments, and instances of excessive force to the contrary, the mortality data show no sign of systematic targeting of Palestinian civilians by Israeli forces. Nor do they show any signs that the Israeli forces are systematically failing to avoid targeting Palestinian civilians. On the contrary, the fact that less than 5 percent of Palestinian casualties are either women, elderly, or young children, in comparison to more than 40 percent of Israeli casualties, supports the key Israeli claim: that the higher number of Palestinian deaths reflects the high number of Palestinian attacks on Israeli targets, not the reverse. This is the reason for the huge bulge in male mortality from late childhood through middle age among the Palestinians. A standard Israeli position since September 2000 has been that (a) young Palestinian teens and children actively participate in violent activities, especially in the throwing of Molotov cocktails and stones; and (b) Palestinian gunmen have frequently fired at Israeli positions from among these young demonstrators, inviting Israeli return fire. Journalists, non-partisan international observers, and human rights monitors have tended to agree with these claims. In August 2000, before the outbreak of the violence, The New York Times reported the existence of summer camps in which 27,000 Palestinian children had participated the past summer, learning guerrilla tactics, how to operate firearms, practicing kidnapping, etc. In October 2000, the United Nation’s Children’s Fund (UNICEF) urged the PA to take energetic measures to discourage those under 18 years of age from participating in any violent action because such action places them at risk. The lie that Israel targets children is a specialty of anti-Israel ‘journalists’ like Gideon Levy and Amira Hass of Ha’aretz and anti-Zionists like Alison Weir (the subject of a forthcoming post). It has particular resonance in the West, whose emotional buttons it pushes. 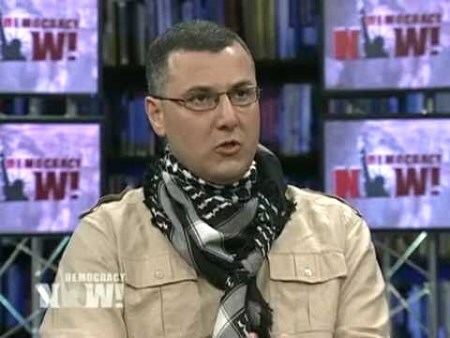 But like most of what comes from the mouths and keyboards of Barghouti, Levy, Hass and Weir, it is a vicious lie. Today the international community remembers the victims of the Holocaust. We honour every one of those brutally murdered in the darkest period of European history. We also want to pay a special tribute to all those who acted with courage and sacrifice to protect their fellow citizens against persecution. On Holocaust Remembrance Day, we must keep alive the memory of this tragedy. It is an occasion to remind us all of the need to continue fighting prejudice and racism in our own time. We must remain vigilant against the dangers of hate speech and redouble our commitment to prevent any form of intolerance. The respect of human rights and diversity lies at the heart of what the European Union stands for. Do you notice anything missing? The identity of the victims, perhaps? (h/t: Yisrael Medad). The alternation of diplomatic pressure with murder has indeed been an “inseparable” part of PLO strategy since Yasser Arafat, who paid terrorists to kill Jews while negotiating the implementation of the Oslo agreement. It’s refreshing to have an official confirmation of that. The Palestinian strategy since Oslo has been to stimulate Israeli concessions in talks by promising relief from terrorism (which never comes). The Israeli strategy is the opposite: Israel releases prisoners, etc. Which approach works better? Yesterday in the Palestinian Authority … no one asked me to criticize the Palestinian Authority on matters of governance, human rights or any other subject. When I am in Israel I’m asked to criticize Israel, and when I am in the Palestinian Authority I am asked to criticize Israel. I suppose a positive way to look at it is that Israel’s media is freer than that of the PA. Or we can note that we are our own worst enemies. Daniel Pipes has written an essay (“The Sick Middle East“) that sums up the condition of the region in depressing detail. He writes that “maladies run so deep in the Middle East (minus remarkable Israel) that outside powers cannot remedy them,” and then goes on to present a truly remarkable list of problems caused by endemic backwardness, racism, greed and shortsightedness. Read it if you woke up in an excessively optimistic mood today! Nineteenth-century diplomats dubbed the Ottoman Empire “the Sick Man of Europe.” Now, I nominate the whole Middle East the Sick Man of the World. The region’s hatreds, extremism, violence, and despotism require many decades to remedy. While this process perhaps takes place, the outside world is best advised not to expend blood and treasure to redeem the Middle East – a hopeless task – but on protecting itself from the region’s manifold threats, from Middle East Respiratory Syndrome (MERS) and harems to mega-terrorism and electromagnetic pulse. This is why the policy of the Obama Administration to permit the most dangerous element in the Muslim Middle East, the expansionist and war-mongering Iranian regime, to obtain nuclear weapons is so foolish. And why supporting the interests of one of the most viciously racist and aspirationally genocidal entities there, the mother of terrorism called the PLO, is so irrational. It is a story, essentially, of a people whose response to suffering has been to move beyond resentment and build a most extraordinary society, a vibrant democracy, a freedom-loving country with an independent and rights-affirming judiciary, an innovative, world-leading “start-up” nation. The US under Obama, it seems, has given up on the idea that values count in international affairs. 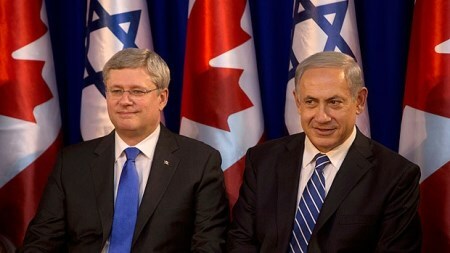 Either that, or the values of the administration are closer to those of the Iranian leaders or the PLO than to those that characterize Israel — or Stephen Harper.